Pancreatic cancer is the fourth leading cause of death in men and women and is projected to increase to the second leading cause of death by 2020 if there are not significant treatment advances made. Our current understanding of pancreatic cancer suggests that it is a systemic disease in most patients, meaning, that by the time of usual diagnosis metastasis or spread of the cancer has already occurred, even if imaging studies are normal. This aggressive nature of pancreatic cancer highlights the need for innovative treatment or diagnostic options for patients to improve survival. A study done by Mayo Clinic surgical oncologists Mark Truty, M.D., and Jay Bergquist, M.D. ; in collaboration with Elizabeth Habermann, Ph.D., from the Mayo Clinic Robert D. and Patricia E. Kern Center for the Science of Health Care Delivery; suggests that all pancreatic adenocarcinoma patients should have an additional blood test (CA 19-9) measured at the time of diagnosis that will help guide treatment and whether or not they should receive chemotherapy prior to surgery. By making this distinction and by tailoring treatment to the patient, better patient survival is anticipated. “All patients with pancreatic adenocarcinoma (PDAC) should have CA 19-9 measured at diagnosis and that any patient with elevation of CA 19-9 above the normal level – even if they are anatomically resectable – should receive systemic chemotherapy, ideally in the pre-operative (neoadjuvant) setting prior to any attempts at curative intent surgery,” according to Dr. Truty. He estimates that roughly 1,000 patients per year are seen in surgical consultation in Rochester, Minn., at Mayo Clinic, that are diagnosed with pancreatic adenocarcinoma (PDAC). 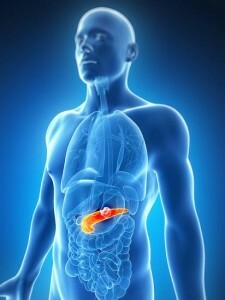 About 25 percent of those people or approximately 200 people are candidates for pancreatic surgery. The majority of those patients will have an elevated CA 19-9 and should be receiving chemotherapy prior to surgical resection. Although surgical resection is a necessary component of any curative strategy for patients with anatomically resectable PDAC, curative intent surgery alone is insufficient. 5-year overall survival of patients treated with pancreatectomy alone is 11-20 percent, and that is now comparable to that of patients treated non-surgically with modern therapies. Postoperative therapy following pancreatectomy therefore currently represents standard of care for patients with resectable PDAC. 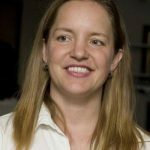 Unfortunately, as few as 50 percent of patients nationwide actually receive postoperative therapy for a variety of reasons. Therefore, the challenge of comprehensive pancreatic cancer treatment is appropriate triage and sequencing of therapy. Many patients will experience early cancer recurrence after curative intent resection even for early stage tumors and this recurrence is most commonly distant in nature. The development of metastasis is a hallmark of the disease biology itself, but currently there is not a generally accepted and clinically available means to assess biological resectability and propensity for early progression and/or metastasis in the pre-operative setting. Based on the findings of the study, the investigators believe that CA 19-9 levels at diagnosis provide an opportunity to clinically assess tumor biological aggressiveness prior to surgical resection. Patients with any biomarker elevation above normal should be considered biologically borderline resectable and therefore are best served by consideration of preoperative systemic chemotherapy prior to curative intent resection even in the setting of otherwise surgically resectable tumors. The implications from this study are substantial and impact the very nature of the way patients receive care, patient triage, therapeutic decisions and overall patient survival. 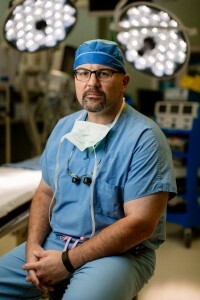 ← Mark Truty, M.D., is Assistant Professor of Surgery and Surgical Oncologist at Mayo Clinic. Jay Bergquist, M.D., is a Surgical Outcomes Program → Clinician Investigator within the Center for the Science of Health Care Delivery. 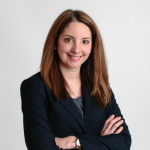 Elizabeth Habermann, Ph.D., is the Scientific Director of the Surgical Outcomes Program within the Center for the Science of Health Care Delivery. NOTE: This research was first presented in abstract form at the Western Surgical Association annual meeting Nov. 7-10, 2015 in Napa. Read news release. Not only pancreatic cancer, many other cancers threaten our lives. So, like you said, whether the DNA sequencing technology is a big decision to solve this problem? The article provides some good basic information, however, in trying to ascertain the effects, symptomology, and characteristics of pancreatic cancer in post complete pancreatectomy patient would be of value. My wife is now a Stage 4 pancreatic cancer patient, having had a complete pancreatectomy in October 2015. Even with post-surgical chemotherapy, her CA 19-9 markers have risen dramatically this year (365.5 in January 2017, 550.5 in February 2017, and this month’s reading is 1140.7). She is a very optimistic and energic person for the most part. These readings do give me pause. What should we be looking to do? Thank you for reading the blog. I am sorry to hear about your wife’s cancer. I have attached a link to our pancreatic cancer information page, which hopefully will answer your questions, or give you ideas for future areas of question. You understand a whole lot its almost hard to argue with you (not that I personally will need to…HaHa).You definitely put a brand new spin on a subject that has been discussed for many years. Excellent stuff, just excellent! Leading the list were reports on pancreatic cancer and glioblastoma, the deadliest cancers.